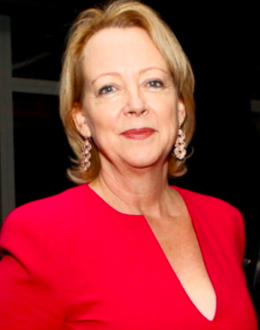 Lynda Gratton is Professor of Management Practice at London Business School and the founder of the Hot Spots Movement, known for her work on organisational behaviour. She is considered one of the world’s authorities on people in organizations and actively advises companies across the world. Professor Gratton’s book Living Strategy: Putting People at the Heart of Corporate Purpose (2000), has been translated into more than 15 languages and rated by US CEOs as one of the most important books of the year. It looks at how to place employees in the context of a business with all its competing attractions, and how organisations should understand and empower staff. Her nextbook, The Democratic Enterprise: Liberating your Business with Freedom, Flexibility and Commitment, was described by Financial Times as a work of important scholarship. Her article “Integrating the Enterprise,” which examined cooperative strategies, was awarded the MIT Sloan Management Review best article of the year in 2002. Her case study of BP’s peer assist integration practices won the 2005 ECC best strategy case of the year award. In 2007 she published Hot Spots: Why Some Companies Buzz with Energy and Innovation – and Others Don’t was rated by the Financial Times as one of the most important business books of 2007. It has since been translated into more than 10 languages. Her 2009 book Glow: how to bring energy and innovation to your life gave practical exercises to enable people to become more innovative, collaborative and better connected. In 2011, Gratton published The Shift: The Future of Work is Already Here, which looks at the future of work and was supported by the innovative research carried out in the Future of Work Research Consortium, and in 2014 The Key – How Corporations Succeed by Solving the World’s Toughest Problems. In 2005 Lynda was appointed the Director of the Lehman Centre Women in Business. In 2008 The Financial Times selected her as the business thinker most likely to make a real difference over the next decade. In 2011 she was ranked by The Times as one of the top 15 Business Thinkers in the world today. And in 2011 she was ranked number one in Human Resources Magazine’s „Top 25 HR Most Influential UK Thinkers 2011” poll. In 2013 she was awarded the Life Time Achievement Award by HR Magazine and equally in 2013 she was amongst the 15 top thought leaders in the Thinkers50 ranking.